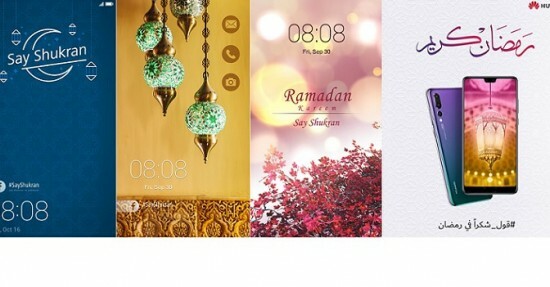 The people of Pakistan showed their support for the mobile phone manufacturer, Huawei and the company is saying Shukran during the holy month of Ramadan and they offered the big discounts on some of its popular smart phones like Huawei Y5 2017, Huawei Y7 Prime 2017, Huawei P Smart, Huawei Mato 10 and Huawei Mate 10 Pro. Ramadan is the holy month for the Muslims and people look for the blessings and share it with others. Huawei decided to extend these blessings to common people by offering the big discounts on some models of the smart phones of this company. The people showed their love for the brand, which is quickly turning Pakistan into Huawei CBG top tier market. The clients can visit the nearest sales centers in order to purchase discounted smart phones. 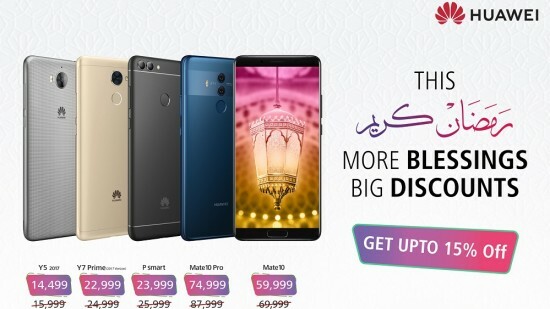 Huawei has offered the Huawei Y5 2017 smart phone for PKR 14,499 under promotional offer and Huawei Y7 Prime (2017 version) is offered for Rs.22999/-, Huawei P Smart is offered for PKR 23,999, Huawei Mate 10 for PKR 59,999 and Huawei Mate 10 Pro is offered for PKR 74,999. Huawei remained committed to provide the clients with best in class technology, quality products, devices after entering in the market since seven years ago and it stays connected with its clients. This smart phone brand has introduced the A.I technology to its flagship devices and the entry level devices so that the people can get enjoyment over the top features without spending huge amount.